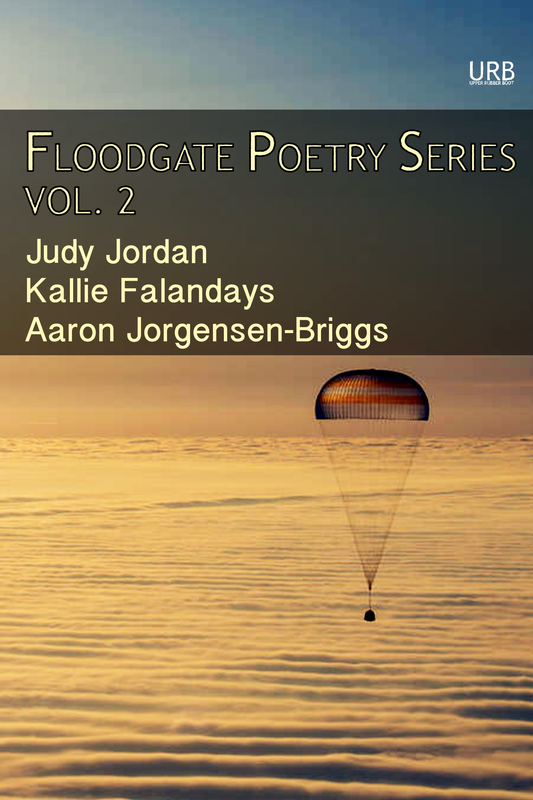 We’re currently running a Kickstarter campaign for Floodgate Poetry Series Vol. 2. 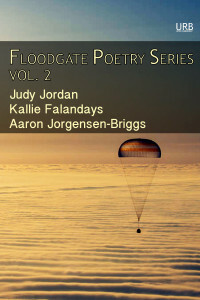 This is the second in an annual series of books collecting three chapbooks by three poets in a single volume: in this volume, Kallie Falandays, Aaron Jorgensen-Briggs, and Judy Jordan. Kallie Falandays‘ debut collection of collection, Tiny Openings Everywhere, distorts reality and the many ways we perceive it with a raucous, almost violent brand of play in poems more interested in questioning reality than nailing it down. At times breathtaking, others delightfully perplexing, these verses are as quixotic and witty as they are essential and damning. Falandays received her MFA from Wichita State University in 2015. She writes copy by day and runs a small editing business, telltellediting.com, by night from her home in Philadelphia. Score for a Burning Bridge, Aaron Jorgensen-Briggs‘ debut collection of poems, examines politics, loneliness, and doubt in poems that startle the intellect and imagination. In these intimate meditations, Jorgensen-Briggs explores the modern world and searches (as so many of us do) for his place in it with a singular voice and vision. Jorgensen-Briggs received his MFA from New York University in 2007, spent two months in Palestine working with the International Solidarity Movement, and currently works with Iowa Citizens for Community Improvement and live in the Des Moines Catholic Worker Community. Donate here for a copy of the book! This is a pretty great deal, you guys. Why is it a great deal? Well, normally these books sell for $13 to $16 (depending on the title)—plus shipping, so a total of around $17-20. But since I’m selling them directly to you, I can afford to lower the price and eat the shipping costs (and sales tax, if applicable). Please help me clear out some space in my library! $10/anthology via PayPal to joanne-at-upperrubberboot-dot-com (specify the book you want and your mailing address; includes shipping via media mail only; U. S. residents only).